The Fifty London Casino in plush St James Street, London, is used to hosting high stakes poker. Only last month, UK Poker News reported back from the High Stakes Cash Game played by the bulk of the Full Tilt poker superstars such as Phil Ivey, Gus Hansen, Erik Seidel and Mike "The Mouth" Matusow, to be shown on Sky Sports in January 2007. Now it appears a political row has erupted in Britain concerning another, entirely different, high stakes poker game that took place at the Fifty Casino in September. Zac Goldsmith - son of the late billionaire financier, Sir James Goldsmith - is well known in poker circles and organised a charitable poker event to raise money for the Shane Warne Foundation and another group called Ecology Grants Ltd. Players are said to have paid $25,000 apiece to play. The evening included an illustrious host of VIP's, including connections to Royalty, and stars from show-business and sport. These included Sting (ex-Police lead singer and bass player, and renowned songwriter), his wife Trudi Styler, actor Hugh Grant, his partner Jemima Khan (Zac Goldsmith's sister), West Ham Utd footballer and semi-professional poker player, Teddy Sheringham, and Tom Parker Bowles, son of Camilla, Duchess of Cornwall. 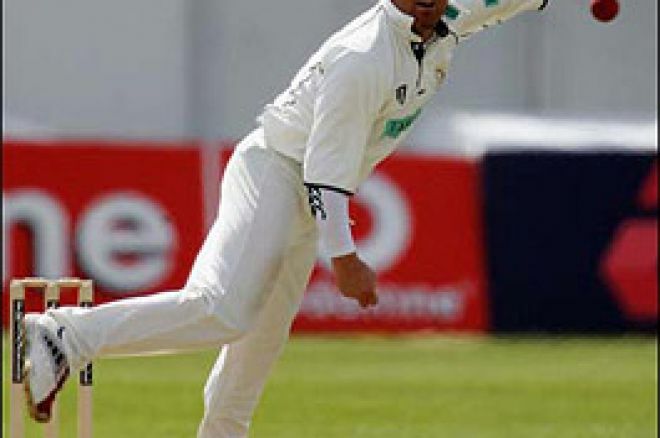 The Shane Warne Foundation was set up by the Aussie spin bowler in 2004 to help ill and underprivileged children in Australia. Ecology Grants Ltd has a more general remit in the field of ecology. "In total, we reckon we raised more than $500,000 for the charities, which makes it a wonderful evening". However, according to the Observer newspaper in Britain, Ecology Grants Ltd actually raised "thousands of pounds" from the poker event for the benefit of the Conservative Party through a company run by his cousin Alex. This has led to the ruling Labour Party accusing the Conservatives of "duping celebrities into funding them". "Shane is not linked to any political party and believed this was an event to raise money for the Shane Warne Foundation." "The causes being supported by the event at Fifty were clearly stated on the invitations. Part of the money raised was for Ecology Grants Ltd, a not-for-profit company set up to receive non-charitable monies from environmental fundraising events organised by the Goldsmith family. Its aim is to promote sustainable development for the benefit of the public. The final destination of moneys raised is still to be decided by EGL's directors. "However, should the decision be taken to pass some of the money raised to the Quality of Life Policy Group, this would not be incompatible with the stated aims of the evening, since one of the QLG's aims is to put environmental issues and solutions into the public remit so that they are picked up by the political process." According to the Observer report, The Quality of Life Policy Group was set up by the Conservative leader, David Cameron. The group is chaired by former Conservative minister, John Gummer, and its vice chairman is Zac Goldsmith. Cameron set it up to develop environmental policy for the Conservative Party and is due to report summer 2007. Ed note: Get yourself Down Under for a FREE crack at the Aussie Millions. Just download 888 Poker and play the Team Poker News exclusive Freerolls!